City, University of London welcomes applications from Saudi Arabian students. 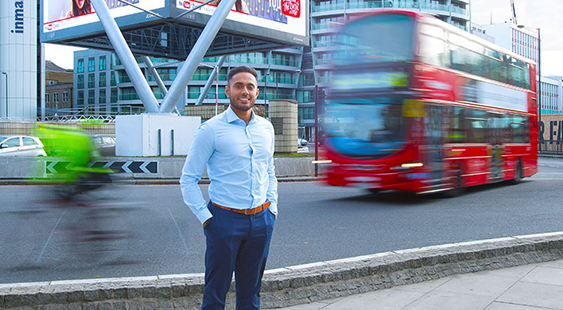 London is a great place for students from Saudi Arabia to study as it is a global city with virtually every nationality represented in some way. If you have any queries regarding entry requirements or how to apply, please contact Rolf Jespersen for more information. Entry requirements will vary from course to course and the information on this page is only intended to be a general guide. For individual course requirements, please refer to the course pages, or contact Rolf Jespersen. Applicants who have completed the Thanawaya will need to undertake our International Foundation programme at INTO City, which then offers the opportunity for guaranteed entry into City’s bachelor programmes. Applicants will be considered for most postgraduate courses with a good Saudi Arabian bachelor’s degree from a recognised University. Entry requirements will vary by course for more information about specific course requirements please contact Rolf Jespersen. English language requirements will vary from course to course and the information on this page is only intended to be a general guide. For individual course requirements, please refer to the course pages, or contact Rolf Jespersen. Most courses have partial scholarship schemes and details can be found on each course page. If you cannot see a scholarship on the course page and wish to find out if one is available, please contact Rolf Jespersen. City, University of London works with a select number of overseas representatives or agents across the world to offer face-to-face assistance and counselling to prospective students. For guidance in applying through agents, please see our Overseas Representatives page [link to come].